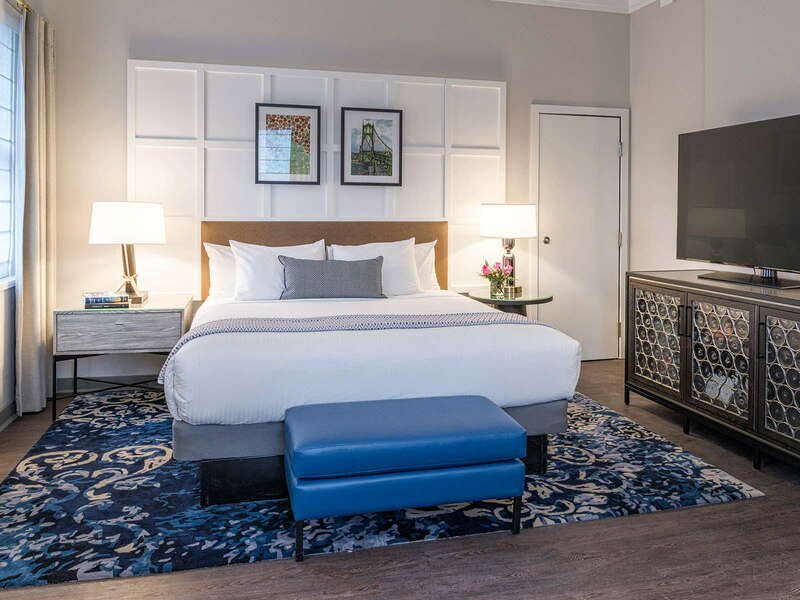 If you’re looking for a sophisticated travel experience in the City of Roses, look no further than The Heathman Hotel. 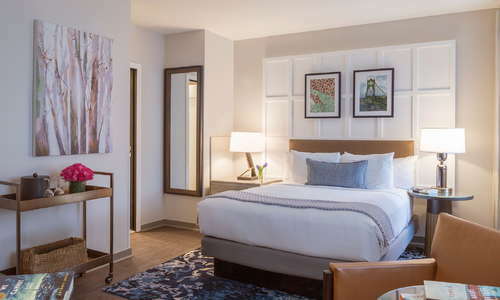 Located in the heart of downtown Portland, this iconic hotel boasts an impressive art collection (the Warhol prints are an especially nice touch), eclectic decor, and a library that would put The Beast to shame (with over 2,700 signed volumes, many of which come from past Heathman guests). 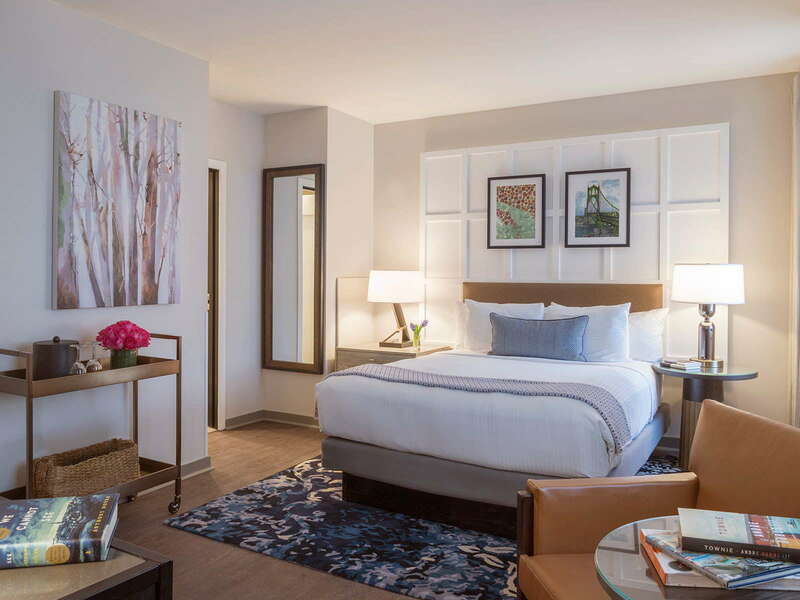 The rooms at The Heathman Hotel are so comfortable, you’ll forget you’re in a hotel. While the decor and furnishings are lovely (the writing desks in particular are fantastic), the real draw is the bed. 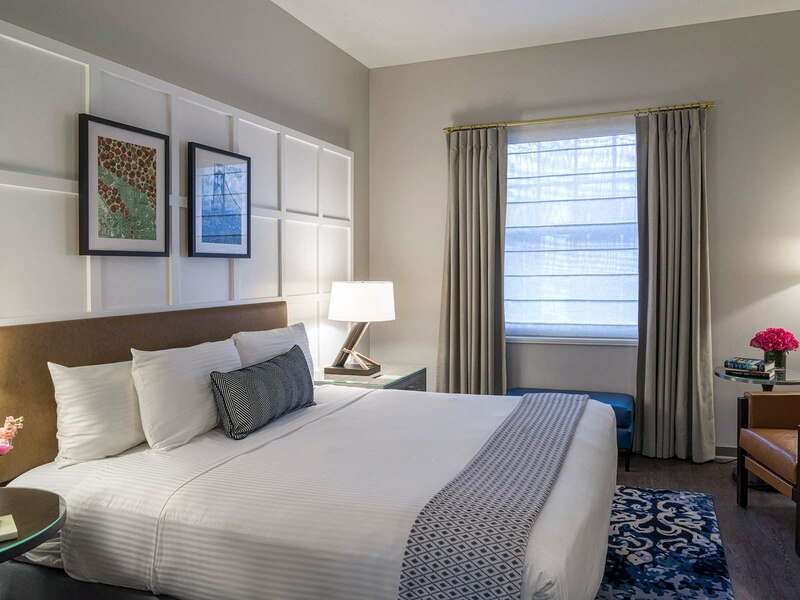 With luxury Lotus bedding and three mattress choices to choose from (Tempur-Pedic, European pillow top, and European featherbed, in case you were wondering), you’ll be tempted to spend your entire day in Portland curled up under the covers. Some of the bathrooms are on the smaller side, but what they lack in size they make up for in sophistication, thanks to the marble finishings and L’Occitane bath products. 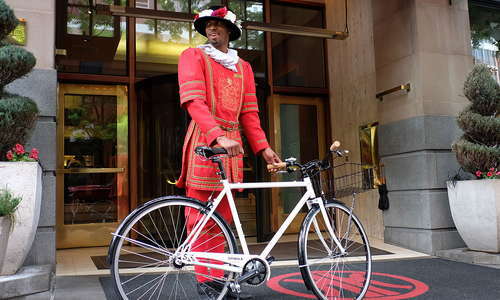 The Heathman Hotel has one of the more impressive art collections in the city, and nowhere is this on display more in the lobby. Even the check-in kiosks are works of art, so make sure you carve out a few minutes to stop and appreciate the aesthetic. 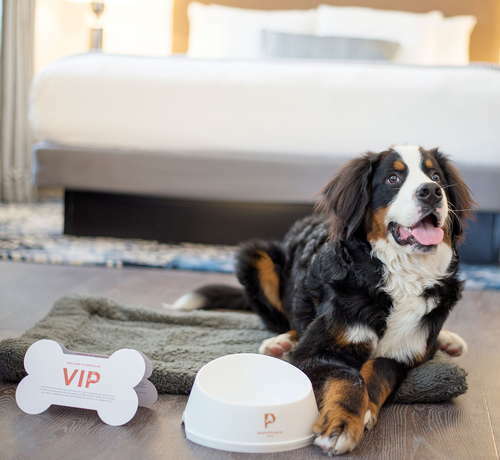 YOU SHOULD KNOW The Heathman Hotel is dog-friendly, and it’s not unusual to see at least a few four-legged friends hanging out in the lobby. If you’re a dog lover, no worries, but if pooches aren’t your thing (or worse, if you’re allergic), it’s definitely something to be aware of. 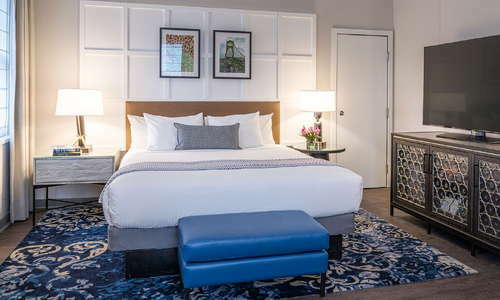 The fitness center at The Heathman Hotel, which is open 24 hours a day, has everything you need to get a proper workout, from top-of-the-line cardio machines to free weights. 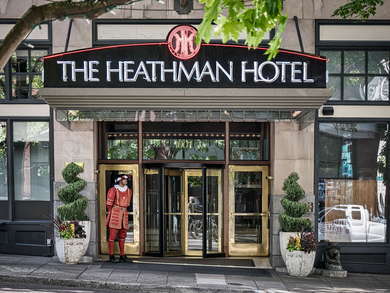 Most hotel restaurants leave a lot to be desired - but not at The Heathman Hotel. 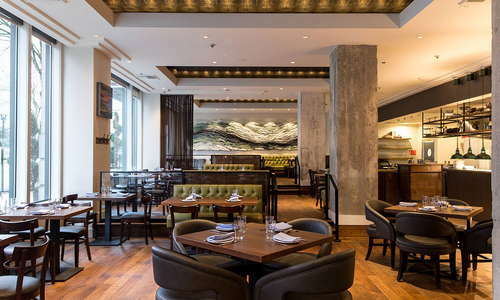 Headwaters Restaurant, owned by Chef Vitaly Paley - winner of the James Beard Best Chef Northwest Award and victor on Iron Chef America - draws inspiration from local Oregon ingredients and offers a wide variety of menus, from family-style to traditional sit-down dinners. 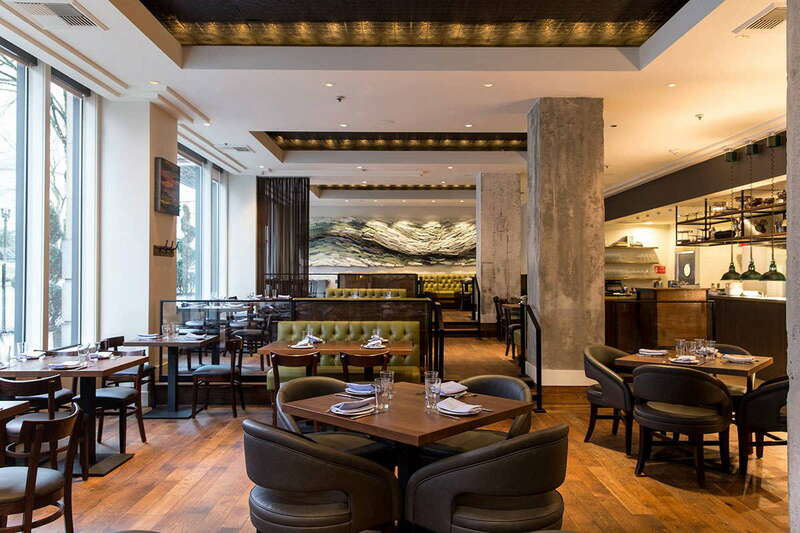 Headwaters Restaurant hosts a fantastic Russian Tea Service, a nod to Chef Paley’s heritage. Be sure to make a reservation - tea service is only available Saturdays at 12pm and 2:30pm and each service fills up fast. There’s no bar on-site at The Heathman Hotel, but you can always grab a cocktail or glass of wine at Headwaters Restaurant. 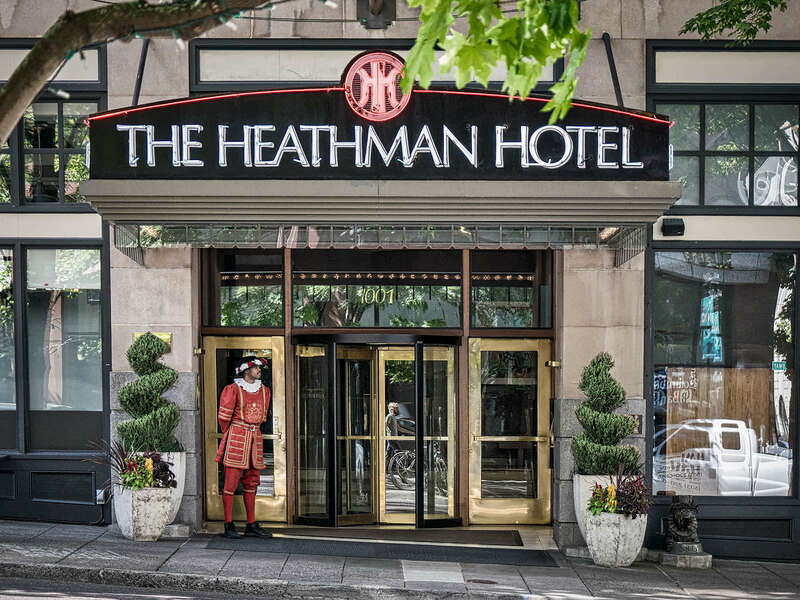 The Heathman Hotel is conveniently located in downtown Portland, which you can easily navigate on foot. 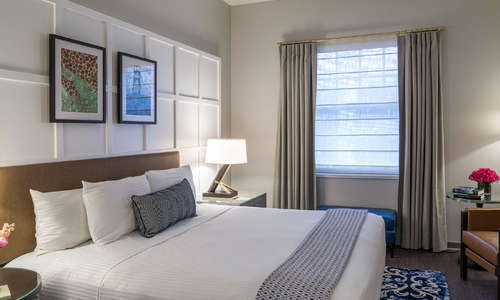 If you want to explore other areas of the city, Portland also has a great public transportation system which you can easily access from the hotel (there’s a bus stop directly outside the hotel and a MAX station a few blocks away). 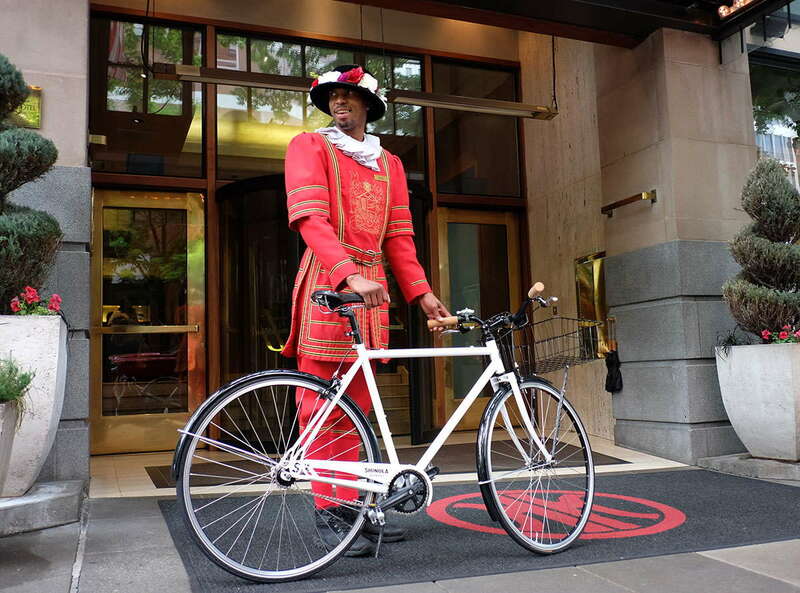 If you do decide to bring a car, The Heathman Hotel offers valet parking for $49.99 per night. Grab lunch at Picnic House (1-minute walk), a funky spot with high ceilings and checkered floors serving up dishes inspired by - you guessed it - picnics (which you can enjoy while sitting at one of the restaurant’s communal picnic tables). For dinner, try Restaurant Murata (12-minute walk), a Japanese restaurant specializing in simple, traditional sushi dishes - if you have a large group, make sure to request a tatami room to add to the ambiance. Right around the corner you'll find Barlow (1-minute walk), a cocktail lounge serving up excellent cocktails in a fun and unique atmosphere (the bar has a very 1920s speakeasy vibe). If you’re looking for something a bit more casual, head over to Bailey’s Taproom (7-minute walk), a local favorite that’s a great place to sample some of Portland’s famous beers - the bar has 26 beers on tap, most of which are local. 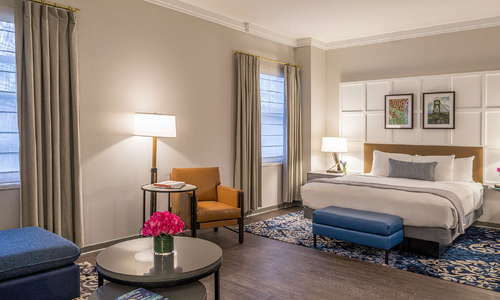 The Heathman Hotel is a sophisticated getaway in the heart of the city. 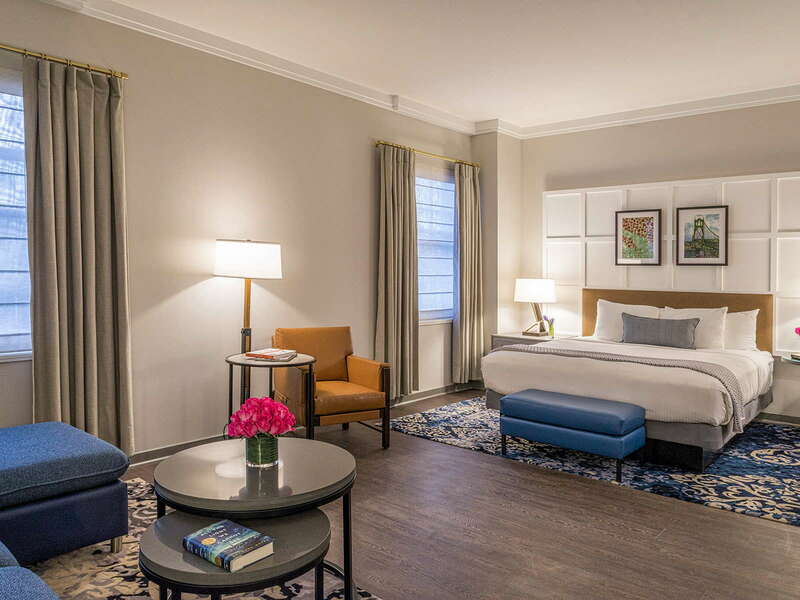 The massive collection of art that line the walls, the upscale finishings, the luxurious rooms, and the incredible dining all come together to create an upscale hotel experience you don’t want to miss.